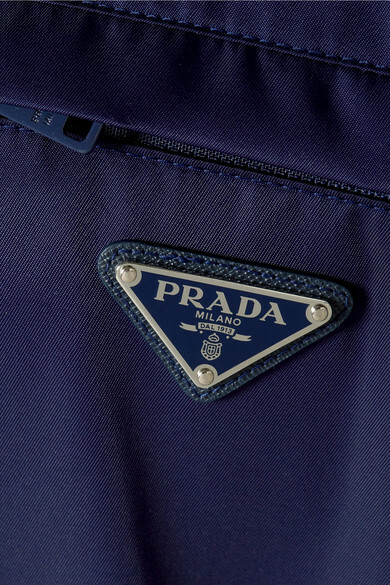 Prada's jacket is made from durable shell - one of the house's signature fabrics. 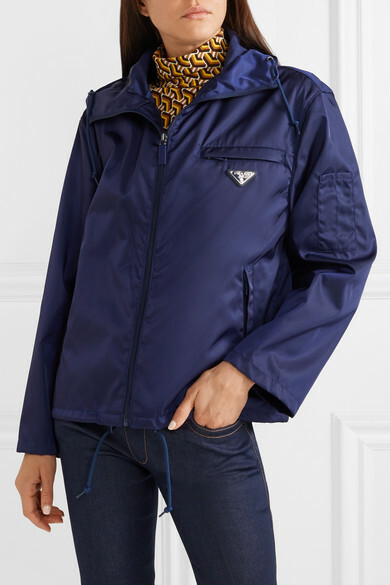 Detailed with the triangle logo plaque at the front, it has an adjustable drawstring hem and hood to protect your hair in the event of sudden showers. 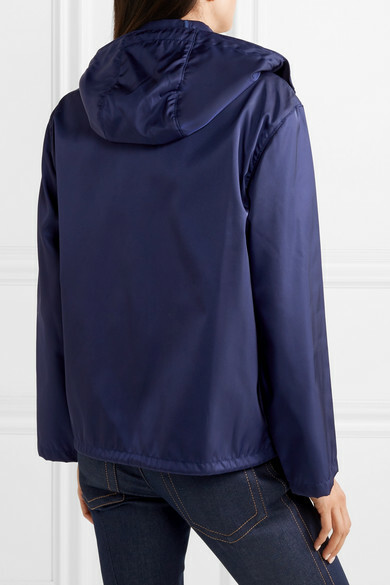 The slightly loose fit ensures effortless layering over chunky sweaters or basic T-shirts. 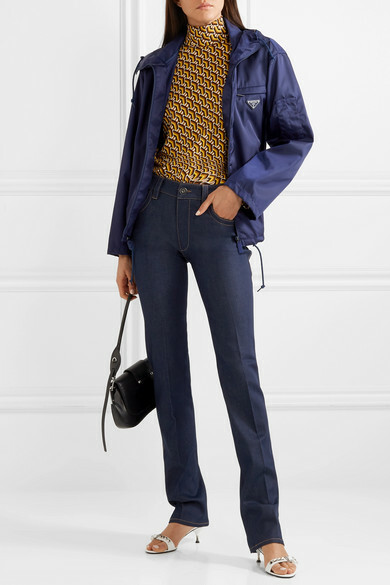 Shown here with: Prada Top, Prada Shoulder bag, Prada Sandals, Prada Jeans.